In this chapter, we will be discussing the various types of tourism and their characteristics. It involves tourism of organized large groups of people to special tourist locations. It is a traditional way where the daily program is fixed by the tour organizer. It is a social activity. The tourists generally desire for souvenirs and site-seeing. 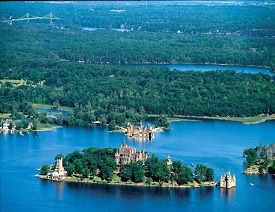 For example, religious places, theme parks, boat cruises, resort towns. It includes individually organized tours to find first-hand information about a place, local culture, and environment. For example, biking tour planned by an individual while accommodation is catered for on the go. It is touring for conducting business transactions, attending business meetings, workshops, or conferences. The objective of business tourism is mainly professional. It includes tourism for improving one’s physical or spiritual well-being. For example, vacation at a Yoga or rehabilitation center. It is tourism at places famous for pristine nature and serene beauty. The main objective is to experience and enjoy nature such as farms and wildlife. Ecotourism is a part of nature tourism. This type of tourism has an objective of understanding the local history of the place, foods, local productions, and local culture. It includes tours conducted among relatives, friends, and others. It includes travelling to escape from routine life. This is often done for enjoyment, amusement, or pleasure. For example, Camping or beach visit. It is conducted with a clear objective such as climbing a mountain, touring around the world, or learning local culinary arts or languages. It is tourism for attending some sports event such as World Cup Cricket Match, FIFA, or Olympics. It involves travelling to places of religious significance such as Vaishno Devi in Jammu-Kashmir and Golden Temple at Amritsar (India), Mecca in Saudi Arabia, Bethlehem, and other such places. It involves travelling to improve one’s health. It is with the objective of visiting weight-loss camps, naturopathy centers, and health resorts. 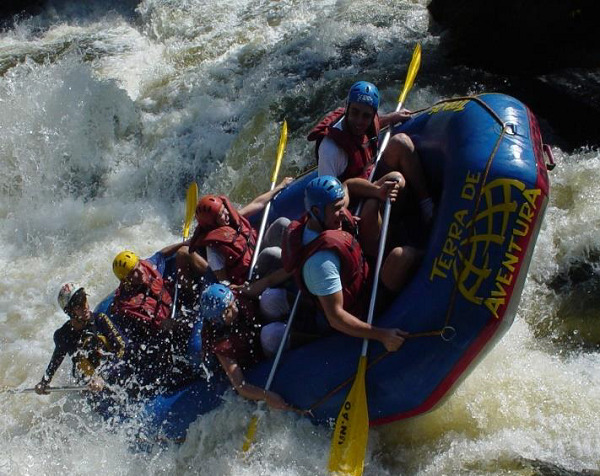 It involves tourism for adventurous activities such as rock climbing, bungee jumping, sky-diving, hiking, horse-riding, surfing, rafting, or skiing. Let us now discuss a few terms that are frequently used in the tourism industry. Attraction − It is a physical or cultural feature of a place that can satisfy tourists’ leisure based need. Cultural Heritage − It is an expression of the manner of living developed by a community and passed on from one generation to the next. It includes customs, practices, places, objects, artistic expressions and values. Dark Tourism − (Black or Grief tourism) It is the tourism involving travel to places historically associated with death and tragedy. 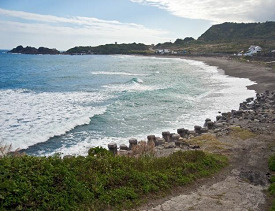 Destination − It is a place the tourist visits and stays there for at least 24 hours. The destination supports staying facilities, attractions, and tourist resources. Ecotourism − It involves maintenance and enhancement of natural systems such as water, air, woods and forests, and flora and fauna through tourism. Foreign Tourist − Any person visiting a country, other than that in which he/she usually resides, for a period of at least 24 hours. 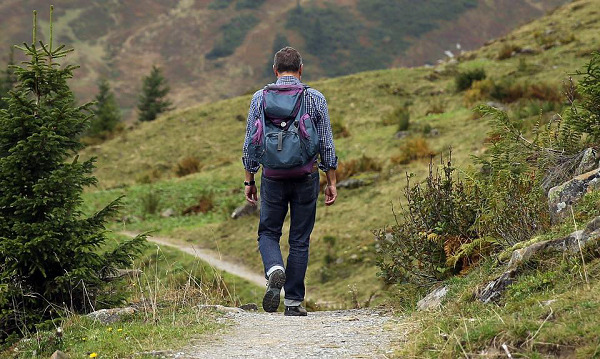 Hiking − A long and vigorous walk on the trail. Intermediaries − They are the intermediate links between the form of goods and services tourists do not require and the form of goods and services the tourists demand. Itinerary − A documented plan of the tour. Leisure − The free time when obligations are at a minimum and one can relax. Recreation − The activities carried out during leisure time. Skiing − It is a recreational activity and competitive winter sport in which the participant uses skis to glide on snow. Snorkeling − It is the practice of swimming on or through a water body while being equipped with a diving mask composed of a shaped tube called a snorkel. Terrain − It is a stretch of land, especially with regard to its physical features. Tourism Carrying Capacity − The maximum number of people that may visit a tourist destination at the same time, without causing destruction of the physical, economic, socio-cultural environment, and an unacceptable decrease in the quality of visitors' satisfaction. Travel − The act of moving outside one's home community for business or pleasure but not for commuting or traveling to or from usual places. United Nations World Tourism Organization (UNWTO) − It is the United Nations (UN) agency responsible for the promotion of responsible, sustainable, and universally accessible tourism. Visitor − A non-residential person visiting the place. WTO − World Tourism Organization. There are many factor that influence the running of the tourism industry. Some show immediate effect while, there are also factors which affect in the long run. Tourism is in its best form when the destination boasts of conducive climate. In contrast, any undesired changes in the environment such as high winds, flash floods, drought, and extreme climate can affect tourism adversely. For example, during harsh summer months in India, people prefer to travel to colder climate regions like hill stations. When a country is undergoing economic turbulence and when people are facing unemployment issues, tourism is affected adversely. On the contrary, when a country’s economy is doing well and people can afford to spend money on leisure, tourism progresses. The place or destination of travel affects the tourism business to a great extent. If the destination is of great historical or cultural significance then tourists will certainly like to visit the place for seeing monuments, castles, forts, ancient architecture, sculptures, caves, antic paintings and utensils, clothes, weapons, ornaments, and other allied heritage. For example, the world famous places of historical and cultural importance are Taj Mahal (India), Pyramids of Gaza (Egypt), Began City (Burma), Acropolis (Athens, Greece). There are tourists who visit places with the objective of studies and exploration. Need for research promotes tourism. Archeologists, Geologists, Oceanographers, Biologists and Zoologists, Architects, and People researching Arts and Cultures seek places that have great significance in the field of research. The places of religious importance or worship are always flooded with tourists. At these places, tourism is at its peak at particular time periods in a year. The tourists often go on pilgrimage to find inner peace and invoke blessings of the deities they worship and to cleanse their sins before death. For example, Mecca, Bethlehem, Kashi. Internet has penetrated to almost every corner of the world. Tourists are enjoying the benefits of Internet. While planning a tour, the tourists try to get the idea about the places they are going to visit, the quality of amenities and services, and the attractions at the destination. After visiting a destination, the experienced tourists share their opinions on various platforms of the Internet. Thus, the reviews of experienced tourists shared on the internet work as guidelines for the following tourists. Hence, just like a double-edged sword, the Internet can boost as well as bring down the tourism business. Physiological (or Biological) − Need for air, food, water, shelter, warmth, and sleep, which are required for the survival. Safety − Need for safety from harmful elements, freedom from fear, physical safety, economical safety, safety against accidents or their negative impacts. Safety may also manifest into security such as job security and financial security. Social − Need for having a family, need for intimacy, friends and social groups. Need for belonging and being accepted and loved by others. Self Esteem − Need of feeling accepted and respected by others, need for recognition and attention from others. 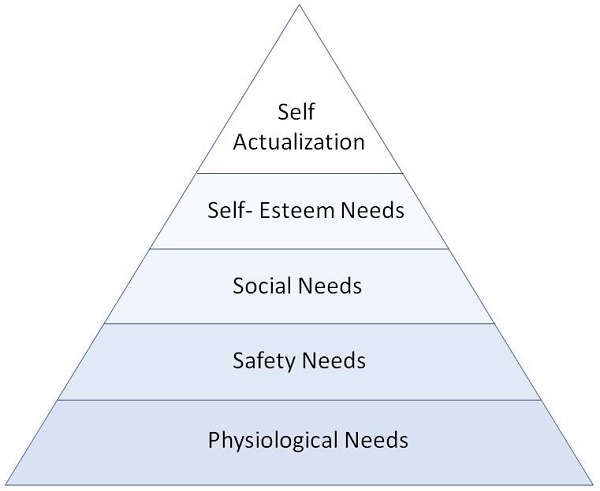 Self-Actualization − Need to realize one’s full potential. A human being requires to attain this need after all the above needs are satisfied. This pyramid helps to understand the priorities of the human needs in the order depicted. As we can see, the tourism covers the bottom four levels of the triangle. Consumer behavior is one of the most researched areas in tourism. This studies why a tourist chooses a particular destination and what are the driving factors that influence his decision for travelling. Geographical Factors − Some physical factors like geographical and climatic conditions, facilities and amenities available at the destination, advertising and marketing conducted by tourism business alter the decision making of the tourists. 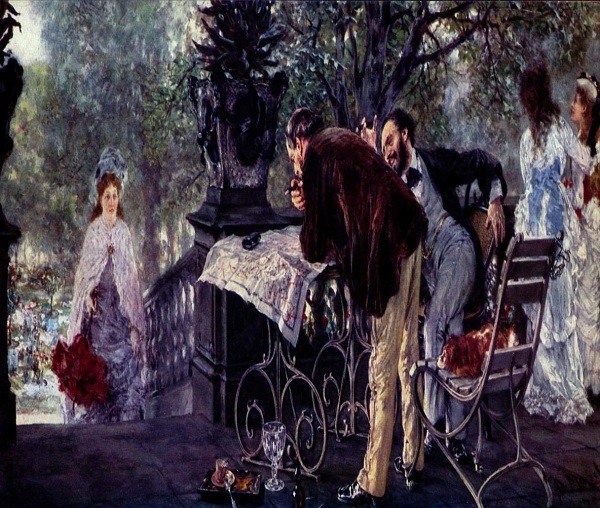 Social Factors − A few social factors such as a person’s social network, which provide first had information that can alter a person’s decision of visiting or not visiting a particular place. Place of Origin − There can be a broad spectrum of tourist behavior depending upon the place they belong to. North Americans like to follow their own cultural framework. Japanese and Korean tourists like to visit places in groups. Tourism Destination − It is a major contributing factor altering tourist behavior. If a destination has all basic provisions such as electricity, water, clean surroundings, proper accessibility, amenities, and has its own significance, it largely attracts tourists. Education of Tourist − The more educated the tourist is, the wider range of choices, curiosity, and the knowledge of places he would have. This drives the decision making when it comes to choosing a destination. They record higher level of satisfaction and enjoyment as they see an activity as a mean of enjoyment itself. They record comparatively lower level of enjoyment as they go through the stress of competition. Time passes faster for them. They are focused on passage of time. They record a higher level of enjoyment. They tend to be tensed for performance and could be apprehensive, which hinders their enjoyment and relaxation. They look forward to the next similar experience in the moderate to long span of time. They look forward to the same experience in the short span of time. Allocentric (The Wanderers) − A tourist who seeks new experiences and adventure in a wide range of activities. This person is outgoing and self-confident in behavior. An allocentric person prefers to fly and to explore new and unusual areas before others do so. Allocentrics enjoy meeting people from foreign or different cultures. They prefer good hotels and food, but not necessarily modern or chain-type hotels. For a tour package, an allocentric would like to have the basics such as transportation and hotels, but not be committed to a structured itinerary. They would rather have the freedom to explore an area, make their own arrangements and choose a variety of activities and tourist attractions. Psychocentric (The Repeater) − A tourist falling in this category is usually non-adventuresome. They prefer to return to familiar travel destinations where they can relax and know what types of food and activity to expect. Such tourists prefer to drive to destinations, stay in typical accommodations, and eat at family-type restaurants. Midcentric (Combination) − This category of tourists covers the ones who swing between the above said two types. Phase I- Bubble Travelers − They do not have much money as well as knowledge. They prefer packaged tours. They long to observe different cultures without being a part of it. They travel mostly out of curiosity. Phase II- Idealized Experience Seekers − They are confident tourists with the experience of foreign tours. They are flexible and comfortable. They prefer tour offers made for individuals. Phase III- Seasoned Travelers − These tourists are more affluent than the idealized-experience seekers. They are more confident to experiment and experience different places and environments. They are more adventurous and prefer individualistic tours. Phase IV- Complete Immersers − These tourists have an intention of immersing completely into the foreign culture, heritage, culinary experience, and language. Their holidaying is well-planned but not well-structured. In the above phases, the tourist goes through different phases and therefore also seeks different tourism options or destinations. Milieu is nothing but the physical, cultural, or social environment in which the people live or which influences people. The milieu includes one’s family, friends, the place of residence, and the surrounding culture. These are the milieus divided according to their terrains. It is the countryside area or area outside the boundaries of a city. 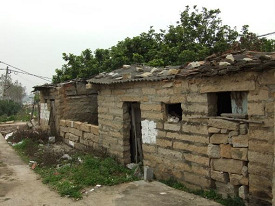 There are less number of settlements, low density of population, and less pollution in the rural area. The pace of life is slower. Nature is more accessible with the beauty of farms and fields, woods, plantations, and wild life. Less infrastructure developments are found in the rural area. Rural areas offer attractions such as beautiful landscape, vegetation and plantation of specific crops, vineyards, gardens, water bodies and allied sports, farmhouse visits and stays, and roadside flea markets. It covers cities and developed towns. 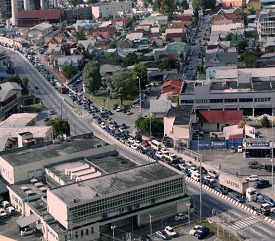 The urban areas have high density of population and large number of houses and apartments. The cities are more affected by air and noise pollutions. The pace of life is too fast in urban areas. The life and living here boasts of contemporary infrastructure and technology. Urban areas are usually home to man-made attractions such as Disneyland, theme parks, museums, or vintage sculptures and architecture. They also attract tourists for gourcmet food and local culinary experiences. This area offers extra ordinary beauty of Terra Firma, vegetation, and water together. Apart from the above stated features, the coastal areas are high on the list of tourism destinations as they also offer exotic sea food, view of different forms of sea and artistic sand sculptures, and water sports. The coastal areas also provide an opportunity to see the marine life either in their natural habitat or in the marine museum. Beaches are tempting destinations for relaxation and recreational holidays. According to the World Tourism Organization estimates, coastal areas represent one-third of global tourism income. Islands have developed thriving tourism over the last few years. They draw tourist attraction for their breathtaking beauty of land surrounded by water, refreshing breezes, and tranquility. They offer a wide range of water sports like speed-boating, canoeing, snorkeling, and diving. They offer market for authentic pearls, mother-of-pearl ornaments, and wooden handicrafts. For example, Andaman & Nicobar Islands (India), Madagascar (Africa), Islands of Hawaii, Bora Bora, Tahiti, and Morea (South Pacific Islands) are few examples of highly frequented islands for tourism. 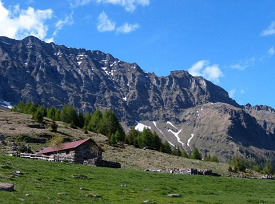 Mountains have indisputable tourist potential and they attract tourists of all categories. The adventure tourists visit mountains for their remoteness, difficult access, unbeaten mountain trails, and wilderness. The adventure sport liking tourists visit mountains for climbing, hiking, skiing, mountain biking, and bungee jumping. Some tourists visit mountains to see the beauty of rare flora and fauna, take fresh unpolluted air, and get to know the unique local cultures. The pace of life in mountain regions is low. For example, Andean Inca trails of Ethiopia, sacred Buddhist sites and in Himalayas. This region is popular with tourists for its sand dunes, serenity, clean air, flora and fauna, and awesome view of night sky. It also offers desert sports such as quad biking, air balloon rides, and activities such as camel trekking and camping. 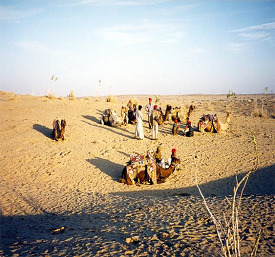 The deserts also offer introduction or engagement with unique local cultures. The pace and style of life is very different in the desert. For example, Thar (India), Sahara (Morocco), and Namib Desert (Coastal South Africa) are famous tourist milieus. Cultural milieus are visited for their heritage, historical, archeological, educational, or adventure importance attached to them. Some of them are also widely known for sports or other entertainment activities. 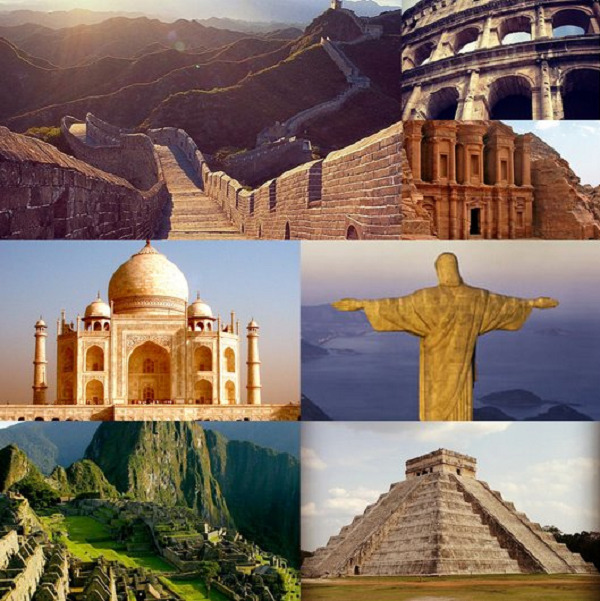 This milieu contains the places of historical importance such as sites of ancient wars, civilizations, ruins of sculptures revealing periodic cultures, monuments, castles, forts, and ancient religious sites. The people studying or interested in history, human evolution, manuscripts, cultures, and art around the world find these places attractive. Historical milieus are protected by a country’s law. It is a place where one can find the evidence of historic or prehistoric activity that is recorded by the discipline of archeology. This milieu offers ruins and remains of houses and pottery, inscriptions, weapons, idols, biological remains such as bones and scales which link to the past human activity or presence of a prehistoric animal at the place. The archeological tourist places are bound by law and limitations on the tourist activities laid by the government. The sites and places of educational importance contribute a large portion of tourism. 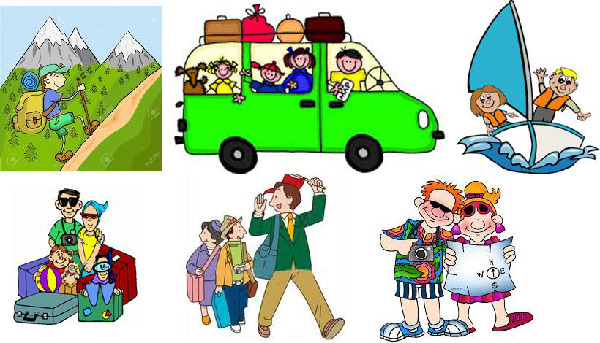 A school trip is the simplest form of educational tourism. Most of the top universities around the world impart the study abroad program for their students to provide the students with short study sessions of a few weeks to a full year of cultural and linguistic experience. Tourists attend educational cruises which make the people of common interests come together to acquire knowledge. A place popular for adventure tourism calls for the interest in adventurers. Some tourists have inclination towards trying their capabilities on extreme sports such as bungee jumping, sky diving, mountaineering, hiking, parachuting, surfing, skiing, sailing, and other similar action sports. A wide range of sports are sincerely pursued by people, which make a noticeable reason for tourism. National or international sports events such as Olympics, Commonwealth games, FIFA or World Cup Cricket tournaments attract tourists greatly. − An American Radio Person, Writer, and a Speaker. 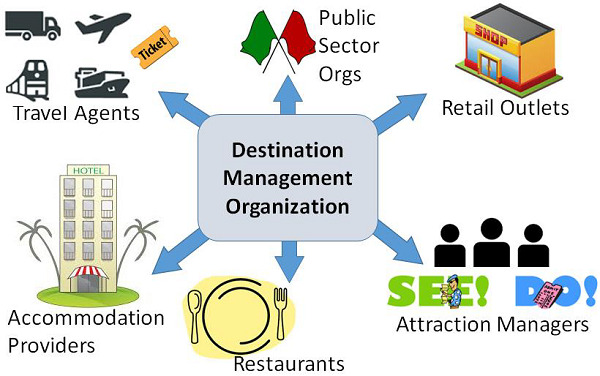 After having seen what is meant by destination and what are its different types, it’s time to look into what destination management is, what do they do to manage a destination, and why it is important to manage a destination. Destination Management puts in place programs and strategies that will spread the unique story of a particular destination. Thus, inviting more tourists and enhancing tourism in that particular region. It proves to be a key to success for tourism management, at large. Since tourism directly depends on the customer’s experience, collecting and auditing tourists’ experience is vital. A deep understanding of the destination, the market, and the tourists’ experience can help to target the needs, desires, and expectations of a particular market segment. The destinations are managed so that they provide excellent memorable experience to the tourists in terms of accommodations, facilities, amenities, activities, and food with a continuous upgraded progress thereby increasing the tourists’ influx and generating revenue. Since the tourists are at the destination since they arrive till they leave, the destinations contribute major portion of enhancing tourism experience. Right from hospitality to a wide range of services, the provision of excellent experience to the visitors is worked out by united effort of many organizations. DMO is a collaboration of multiple private and public sector organizations working together towards a common goal, to promote and market the destination, and to retain its tourism value all the time. To spread the benefits of tourism. To reduce tourism impacts on environment and local culture. To promote and market the country ultimately for tourism. Accommodation providers who provide serviced and non-serviced accommodations such as hotels, bed and breakfast, self-catering establishments, holiday caravans, and camping sites. Attraction managers who provide maintenance of attractions, museums, galleries, countryside sites, boat trips, and walking tours. Food and beverage providers such as restaurants, pubs, and cafes. Retail outlets such as specialty and independent shops, and shopping centers. Transport operators such as surface and air transport providers. Public sector organizations such as state services for availing licenses and permissions. It is an independent, non-profit organization. It is a membership-based organization comprising public, private, non-profit, and academic tourism stakeholders from the region. It is governed by a board of directors. It has diverse set of revenue generation from membership fees, hotel taxes, retail opportunities, online booking commissions, advertising in publications and websites. It provides services mostly at zero cost to the end users. Establishing a regular communication with the industry through newsletters, business opinion surveys, marketing opportunities, and annual reports. Conducting annual forums to discuss the progress and plans of destination management. Conducting topic-specific workshops to discuss key issues. Getting feedback on the progress. Conducting regular periodic meetings with participating businesses. Organizing festivals, lectures, talks, theme holidays, and events. Similar to any other large business, the work in a tourism business is also distributed into departments. This facilitates more efficiency in the services provided by them. This department develops and executes overall business strategies. It is responsible for the entire organization. General management deals with determining overall business strategies, planning, monitoring execution of the plans, decision making, and guiding the workforce, and maintaining punctuality and disciplinary issues. Market Research − It includes understanding the environment, staying tuned with the economic developments, knowing customer needs, and strengths and weaknesses of peer competitors. 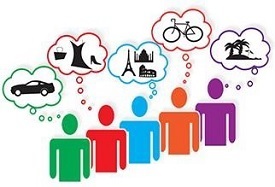 Understanding Market Segments − It includes dividing the total tourism market into smaller market segments. 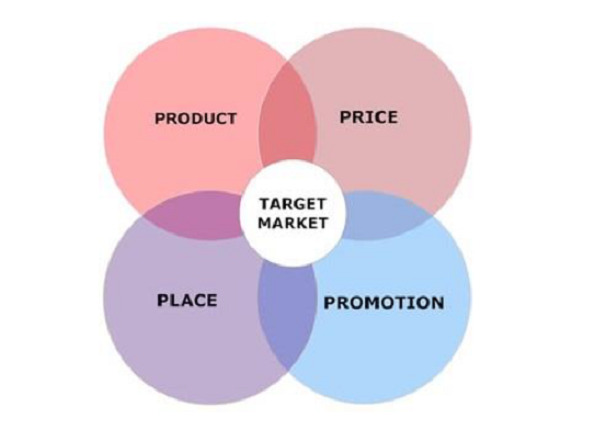 It also involves targeting particular markets, creating separate appealing tourism products for different market segments, and positioning those products to draw consumers. For example, Kesari Tours offers different products for Students, honeymooners, women, and senior citizens. Product Decisions − It is about deciding about addition or removal of a product feature in an offering, deciding about development of new product, manipulating product features. Promotion Decisions − It includes informing the target market about various products they would find interesting. Marketing department joins hands with publicity agencies such as radio, television, and website management agency to promote the product package. Price Decisions − It involves decisions about the selling cost of product as well as discount rates. Product Distribution − It pertains to which intermediary to employ and where to place the promotional material. The Operations Department combines two or more tourism components (among attractions, transportation, intermediaries, destination, accommodation, and activities) to create a package and sell it to the consumer. It organizes and conducts a tour within or out of the country and ensures that it turns out successful. It prioritizes customer preferences and supplier offerings to determine the best tour arrangements. It plans the tour itinerary and informs the customers about the schedule of the tour and details such as how to reach the destination, what to see and do there. It contacts relevant agencies for making arrangements of accommodations and bookings travel tickets. The Finance Department is responsible for acquiring and utilizing money for financing the activities of the tourism business. The finance people assess short term and long term capital requirements. Long term capital requirements in tourism are maintenance of office building, vehicles, office infrastructure, and business equipment. Short term capital requirements involve labor and staff payments, providing communication facility, payment of electricity and other resources. A large number of tourism businesses need to invest initial amount for hotel, lodges, and airline bookings. The owners of tourism business invest their money with the sole purpose of getting high returns out of the investment. Hence the head of the finance department is obliged for achieving the organization objectives by using the finances wisely. This department is solely responsible for selling the relevant tourism products to the consumers. The sales person in the tourism business is the first link between the tourism business itself and the consumer. The staff must have deep knowledge of the product and strong communication skills to convince the consumers. The sales person also promotes the destination. The sales staff identifies and cultivates new customers. The sales staff recommends best suited products to the customer by assessing their needs. They sell a tourism product successfully by approaching, presenting key features, resolving customer queries, and closing the sell. The sales staff maintains cordial relationship with the customers. This department is responsible for recruiting skilled, and experienced manpower according to the positions at vacancies of different departments. It is also responsible for conducting orientation programs and trainings for new staff, recognizing the best facets of staff and motivating them to achieve organization objectives. By following a standard procedure of procurement, this department ensures the enterprise has appropriate and timely supply of all the required goods and services. The purchasing department procures the goods and services to be consumed by other departments in the business organization. − Craig Ray, Director of Tourism Division of Mississippi Development Authority. All tourists are not the same. Just as they may belong to different regions, they may be of different age groups and earn different incomes and have different tastes and preferences to live their lives in a certain manner; the tourists also have different choices when it comes to selecting the mode of travel, destination, and the activities at the destination. Tourism market segmentation is the strategic tool for getting a clear picture of diversity among the tourists. The tourism researchers and the tourism industry use market segmentation information to study the opportunities for competitive advantage in the marketplace. Market segmentation is nothing but dividing the total consumer market into groups to be able to communicate with them and provide their specific needs. Smith (1956) introduced the concept of market segmentation as a strategic tool. He stated that “Market segmentation (…) can be viewed as a heterogeneous market (one characterized by divergent demand) as a number of smaller homogeneous markets”. Why Segment the Tourism Market? Every tourist being different, the tourism industry possibly is not capable of satisfying every individual’s need. This is the foundation of segmenting the total market. It helps to understand specific demands of the consumers. It helps to allocate marketing expenses efficiently. It helps to create effective marketing strategies to target specific market segment. Geographic market segmentation is done considering the factors such as tourists’ place of origin. This factor is important as the tourists belonging to different places are brought up with different cultures and show different traits of behavior. It is the most basic type of segmentation. This segmentation is done by considering the tourist’s gender, age, marital status, ethnicity, occupation, religion, income, education, and family members. The marketing people do this segmentation by taking into account the psyche of the tourists. They gather information about the tourists’ interests, attitudes, their way of living life, opinions, and overall personality. The tourists who visit places with their first and extended families, or families of relatives. One person, generally the head of the tourist family is the decision maker. The families generally travel for holidays and leisure and tend to expend sparingly. They generally are keen on receiving the best services for what they have paid. They tend to carry more luggage. They travel alone and are independent. They are alone but not lonely; as tourism is what they pursue as a hobby. The gap year travelers, unmarried persons, widows/widowers, backpackers, and solitary tourists travel single. They decide for themselves and tend to expend more. They tend to carry less stuff on the journey. They tend to behave balanced if any challenging situation occurs and are rational towards tour schedules. Students from schools and universities as members of educational tours, fellows of various fraternities with common interests, groups of newly-weds, or senior citizens. These tourists travel to meet friends or relatives, or to attend a celebration or gatheringl. These tourists generally plan their tours in the breaks such as Diwali holidays, Christmas holidays, or any kind of long break when most of the people have break. They are the professional tourists on the business trips. They decide for themselves but do not spend much money. For example, a sales or a marketing person travels to another city to attend a business fair, and business manager travels to another country for business deals. They tour for consuming the reward they received in the form of a few days’ family holiday package at some hotel or resort. Such rewards are generally distributed if an employee performs outstanding to achieve the goals. These tourists travels to places with the agenda of health on their mind. They travel to avail some special medical treatment, operation, surgery, medication, or inexpensive aesthetic surgeries available in different country. Some tourists in this category also travel if they are receiving some illness from the climate at their residence such as Asthma. − Lee Lacocca, American Automobile Executive. The tourists have ever changing demands which the tourism product is required to satisfy for the survival of the tourism industry. Kotler defines a product as it is "anything that can be offered to a market for attention, acquisition, use, or consumption that might satisfy a want or need. It includes physical objects, services, persons, places, organization, and ideas". Medlik and Middleton (1973) term tourism products as “a bundle of activities, services, and benefits that constitute the entire tourism experience.” This bundle consists of five components: destination attractions, destination facilities, accessibility, images, and price. Having been known what the tourism product is, let us see the elements of the tourism product and how the tourism product is developed. 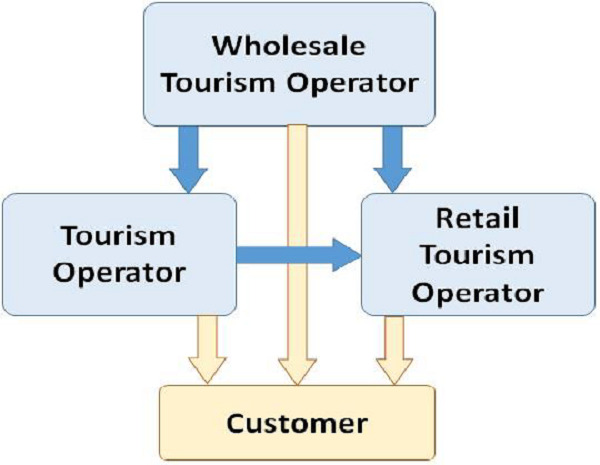 Here is an onion shell diagram that depicts elements of a tourism product. The diagram shows progression of elements from core to outer shell depicting the declining direct management control. It shows that the consumer’s involvement is maximum at the outermost shell. The tourism product is not just presence of all five elements but it is also the interaction of these elements among themselves. A natural attraction such as a landscape, wild life, natural structure. A man-made attraction such as a resort. A fixed property such as an accommodation. A mobile property such as a ship or an airbus. A natural or manmade condition such as weather, crowd, infrastructure at the destination. 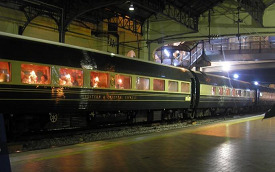 The features or facilities of the physical plant are put to use for the tourists with service. Providing services calls for a major contribution from human resources. It pertains to performing tasks for the benefit and satisfaction of the tourists. For example, serving food in a hotel is a service by the staff there. It is the attitude with which the service is provided. Hospitality includes performing the service with smile, enthusiasm, untiringly, and with dedication. For example, arranging guest room supplies or serving food or beverage in a presentable manner is a part of hospitality. It is offering the tourist some acceptable range of options in order to elevate their experience. The degree of freedom varies greatly depending on the type of tourism (pleasure, business, family, or other), the tourist’s budget, previous experience, knowledge, and reliance on a travel agent. A good tourism product must include some choice for its consumers. By offering some freedom to the tourists, the product gives some sense of control to the tourists. The freedom to choose an airline, a route, a seat, an accommodation, or a restaurant can enhance a tourist’s satisfaction. Freedom also implies good surprises. When the tourists come across unanticipated events, they get the feeling of being very fortunate to be in the right place at the right time, thereby gaining extra value from the visit. It depends upon the quality of inner four elements. 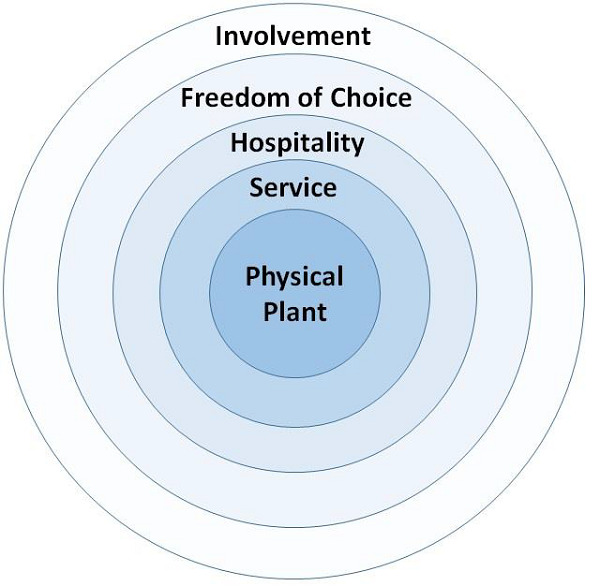 These elements prepare the tourists for physical, intellectual, and/or emotional involvement in tourism services. Involvement is not only the physical participation, but also a sense of engagement in an activity- may it be for pleasure or business. More the involvement of the tourists, more they are interested in striking conversation happily with others, more they are enthusiastic and curious to try out new things, and time passes fast for them. Thus, a combination of tourists’ involvement, freedom of choice, service with hospitality and perfect destination (with all A’s present) can make the best tourist product. Be authentic and should reflect the unique attributes of the destination. Have the support of the host community. Respect the natural and cultural environments. Be different from the competitors, avoiding copying developments blindly. Be of sufficient scale to make a significant economic contribution, but not very large to create high economic leakage. Tourism is the bundle of tangible products and intangible services that can help to bring most profound experience one can get. With respect to time, tourism has been changing from the ancient form of religious tourism to a few new forms. Tourism industry contributes to 9% of the global GDP and offers one from every 11 jobs. In addition, the number of tourists have doubled over the past 20 years and a propelling growth is expected in coming few years among all market segments. Tourism industry has an intense potential to grow and generate revenues. Let us see, the new shaping trends in tourism today. Today, tour operators and tourists, both are equipped with latest technology. It has empowered the tourism business managers and tourists to explore, discover and reach new places by facilitating online travel and accommodation bookings, and more. The tourists use various mobile apps as simple as a compass app, online booking apps, currency converter apps, world time apps, language translation apps, weather apps, google maps, and restaurant or accommodation locating services on their mobile device. The tourists can also add their own data to create overlay on the Google Map and explore all possibilities in visiting a location by using Google Maps API. Some apps help to plan the tour, find out cheap flights, local transport hubs, eating joints, and destination attractions. The apps enhance the tourist experience before, during, and after the tour. Today, the large tour operators invest finances to create their own mobile apps. They are inclined to use as less papers as they can and prefer to send pdf documents of itinerary to their customers and insurance documents to insurance service providing clients. They also use most of the apps the tourists use; plus, they highly rely on some apps such as Trafalgar app, Passport to Tour app, mTrip app, which can connect them with the tourists on the trip, track the itinerary, and get on-the-fly information of the tour. 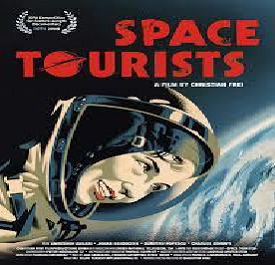 Since technology is making tour operators reach their customers and clients at the speed of light, the tour operators use it for promoting their business and various products, increasing their brand awareness, knowing tourists’ preferences, and providing easy access to their products and services. 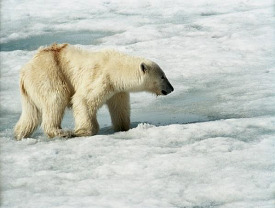 Arctic and Antarctic polar regions have always attracted tourists. Polar tourism is a dynamically growing industry due to the efforts tour operators take to provide various attractions, destinations, and activities for their customers. Adventure tourists and common tourists who long for unique weather experience, solitude, and view of wild life in its natural habitat opt for polar tourism. It includes orbital and suborbital rocket flights into the space. Riding into the space for recreation and unique experience was the idea behind this tourism. Till date, only very rich tourists paying very large sum of money could possibly realize the dream to see beyond the blue planet. In coming years, this extravagant tourism can be made available for common people too. Dark tourism is the oldest form of tourism developed recently. Due to the fear and natural attraction to uncover mystery of death human beings always have, some tourists prefer to visit the destinations such as battlefields, places of violent homicides, or any places where large number of people lost their lives naturally or forcefully in the span of last 100 to 125 years. For example, tourists visit Pompeii to see the corpses of the victims of the volcanic disaster literally turned into plaster casts. The volcano on Mt. Vesuvius had destroyed the ancient town of Pompeii. Though the disaster occurred and claimed thousands of lives long ago, the threat of more such volcanic eruptions still exist today. Hence, Pompeii is an archeological and also a dark tourism site. Chernobyl and Prypiat, Ukraine − Tourists visit this place to see the ruins of the nuclear disaster that took place on 26 Apr 1986. Ground Zero, USA − It is The World Trade Centre site attracting tourists since the 9/11 attacks that took place in 2001. Auschwitz, Germany − This dark site is famous for Nazi concentration camps with various rooms piled with thousands of pairs of glasses, shoes, and human hair. It displays the walls of the corridor exerting the lists of their victims' names and the dates of their death, and the house of the camp commandant. Costa Concordia − On the coasts of Tuscany, Italy; the site of this wrecked ship attracted tourists for around two years. It is taking volunteered vacation and touring for charity. People do not just go touring for recreation and fun but also to serve the community dealing with natural calamities. In case of flash floods or cyclones, the people in the affected areas need support. Some tourists voluntarily visit such places and extend their hands for help in whichever possible way they can. 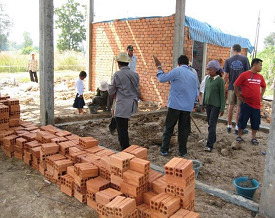 Also, tourists are travelling to care for orphans, for plantation, protecting wildlife, and similar other tasks. It mainly pertains to the rich business tourists, who strongly believe that time is of prime importance and they must pay to save time at any cost. Wealthy tourists are inclined to undergo unique experience such as staying at a private island, personal attention from the service providers and access to elite class attractions and amenities. 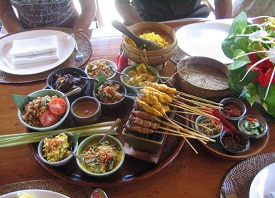 The tourists who like to receive local culinary experience, like to tour for this purpose. They attend food festivals, food competitions, visit local farms, vineries, and cheese manufacturing companies, interact with local community or cooks for special culinary experience. The four major developing countries namely Brazil, Russia, India, and China have a great potential for driving global economy through hospitality and tourism industry. These countries are important for both inbound and outbound tourism. Global tour operators are adapting their tourism businesses to exploit the huge market these countries provide. It is quite obvious that tomorrow’s tourists and tour operators will tend to rely more on technology. With the introduction of the next generation apps and online services, tourism is going to get further accessible and enjoyable. According to Ari Steinbuerg, the founder of a travel startup Vamo, the tourists will tend to spend less time planning in advance. Efficient booking services and apps will enable the tourists to create versatile itineraries with reasonable price. Future tourists would not prefer to be confined to packaged tours. With the availability of large number of options, the tourists would prefer to realize every possible wish regarding tourism. With more flight connectivity, travelling modes and accommodations introducing more comfort, technology helping mankind progressively, the tourism will continue to bring momentum in its sector.